Methamphetamine laboratories and other illegal chemical production facilities store and use large quantities of chemicals. Some of these chemicals are combustible, some are poisonous and some are dangerous in large quantities and concentrations. 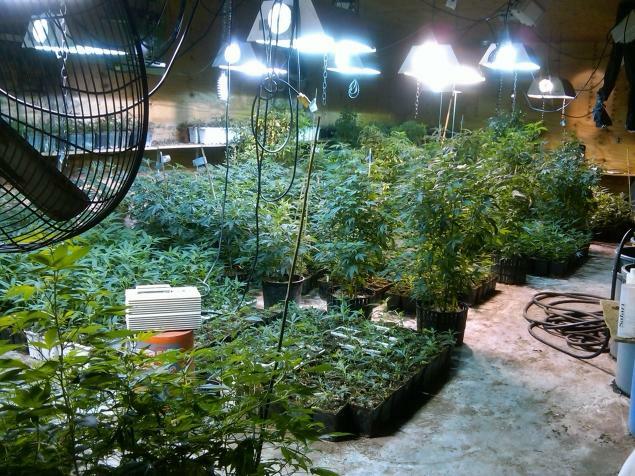 An illegal drug laboratory or greenhouse has no place in your portfolio. Let’s shut them down and clean them up. Or, as statute may require and provide, get them permitted. Methamphetamine laboratories and other illegal chemical production facilities can harm the environment and contaminate the property and those nearby with their bulk chemicals. Combustible chemicals can start fires that can damage property and possibly harm people. The poisonous and dangerous chemicals can be spilled. When the dangerous chemicals are spilled, these toxins can get into the groundwater supply and the surface water. Direct contact with some chemicals can cause burns and damage to the skin as well as damage plant and animal life. In the groundwater, these chemicals can spread to a wide area and when ingested can cause discomfort, damage and even death to people, animals and plants. Illegally run operations such as meth labs also do not adhere to strict regulations of how to store and maintain chemicals and are far more likely to spill or misuse the chemicals. Be wary of “environmental professionals” who are willing to perform a Phase I Environmental Site Assessment for less than the fee typical for your area. A “low-ball” fee is a likely warning sign that you may not receive quality work. Competent environmental professionals charge fees needed to cover their expenses to perform a thorough job on your project. You’ll thank yourself later for contracting the best firm available…not the cheapest.